Lincoln International, Mr. Rock. 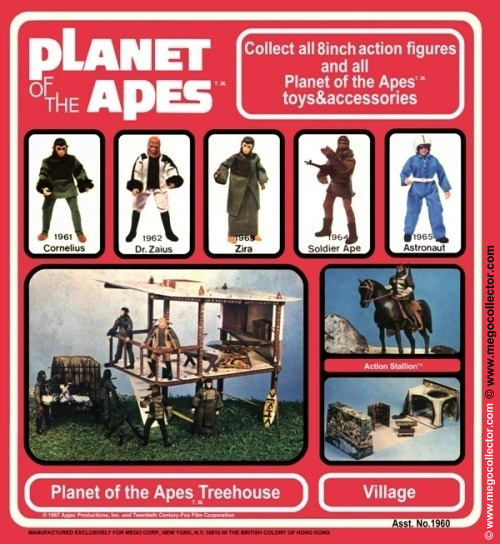 This piece is so rare it is unfathomable to believe that a carded one even exists. 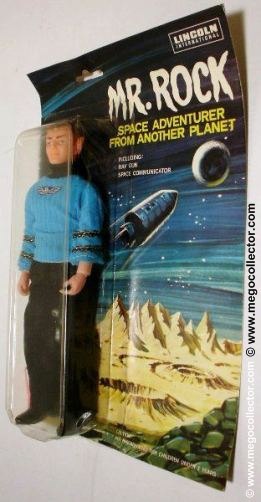 Well here it is a carded example of Mr. Rock Space Adventurer from Another Planet. 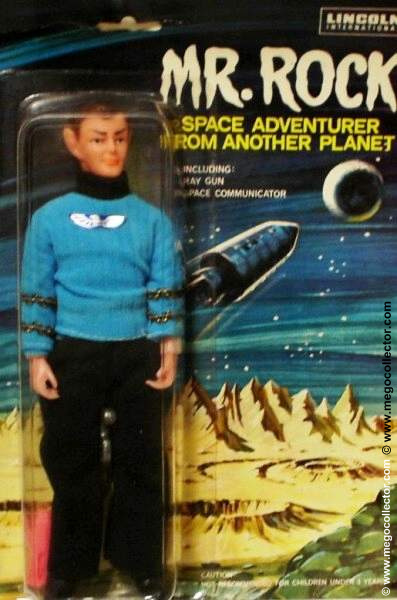 Including: Ray Gun and Space Communicator. 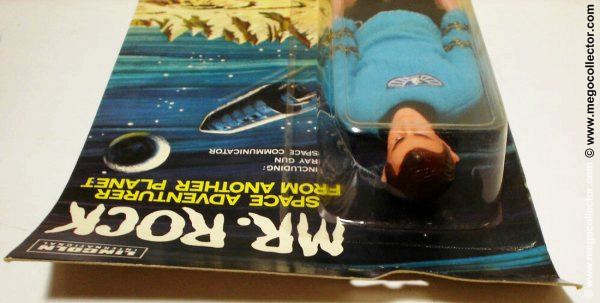 There are many reasons for the scarcity including that it was pulled from the market over the similarity between this figure and one produced by Mego as Mr. Spock. 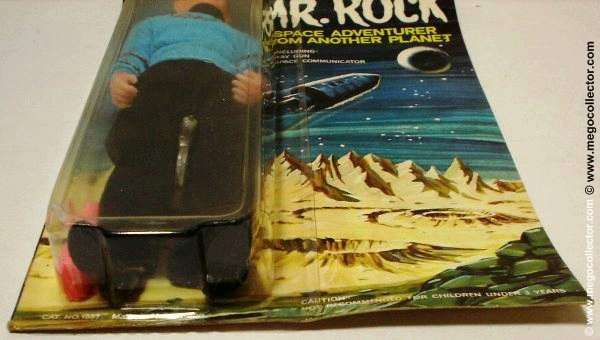 Update: Just added all new pictures of the Mr. Rock figure. 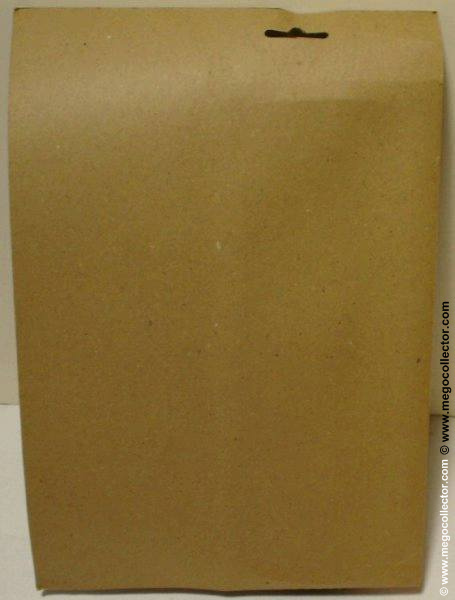 The card front is colorful with vivid imagery of space and mysterious worlds, the back is plain cardboard stock. 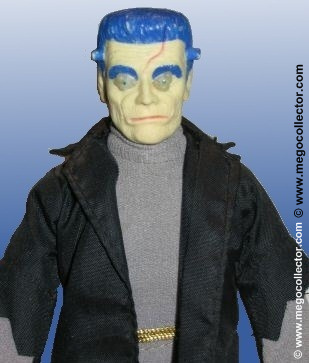 Additionally, an incredible wealth of knowledge when it comes to the Mr. Rock figure is available www.plaidstallions.com.